• Providing consulting from the first point-of-contact with the client through the delivery and support of the solution. • Gathering client specifications and communicating them to the development team. • Use of Global Reach’s project management tools and providing the client with updates and reports. • Understanding the capabilities and constraints of the development team and being able to efficiently communicate them to the client. • Manage and define responsibilities. • Quality control on every deliverable before release to the client. Global Reach Internet Productions, a leader in innovation in the IT Services industry, has been recognized by Inc. Magazine as one of America’s fastest-growing privately held companies. Inc. Magazine ranked Global Reach Internet Productions 19th on the fastest growing companies in Iowa list and #4108 nationwide. How to Apply: Qualified individuals are encouraged to e-mail a cover letter and resume to jobs@globalreach.com. 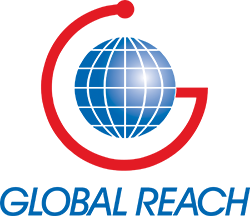 To learn more about Global Reach and our team, please visit our website at globalreach.com.